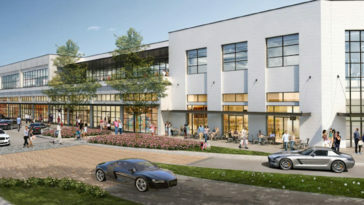 Armature Works continues to tantalize the taste buds of eager residents with a string of vendor announcements. Nitrogen ice cream, sushi burritos, beyond basic empanadas, a massive wine bar and an oyster bar are all in the works for the forthcoming concept. Now, you can add Cuban soul food to the eclectic mix of dining options. Hemingway’s Modern Cuban Cuisine is a “soul food” eatery plating traditional Cuban classics with a contemporary spin. Felicia Lacalle will take the lead in the kitchen. The chef says Cuban cooking is “in her blood” thanks to learning her skills in the most traditional way possible: from her mother. The entire stall within the Heights Public Market (HPM) will be outfitted in bold and vibrant colors, with hearty plates of soul food prepared offer visitors a culinary tour de force. Launching our first concept inside Armature Works couldn’t be a better fit, because I always like to stray away from the ordinary — and that’s not only the essence of Hemingway but this entire project as a whole. “Our menu will keep the foundation of traditional Cuban flavors, but with a signature twist so people never get bored,” said Lacalle. Open daily for breakfast, lunch and dinner, the menu will have an eclectic collection of Cuban comfort food classics including from Lacalle’s famous chicharones, palomilla steak sandwich, and the Hemingway Cuban — house-roasted pork, salami, jamon serrano, swiss cheese, housemade pickles, and special sauce all on La Segunda Bakery Cuban bread. Customers can even custom-make their own “Cuban Bowls” stacked with items like ropa vieja, pollo a la placha and palomilla steak sandwich as well as mojo quinoa, yucca fries and garlic tostones. There’s also a swoon-worthy dessert lineup including a dulce de leche-stuffed tres leche cake coated in a house-made chantilly cream and guava & cream cheese mini empanadas with a cinnamon milk dipping sauce.